Lowveld wine lovers should make it a date night for an evening of great wine tastings. Connect with winemakers or their marketing representatives while tasting an array of more than 250 of South Africa’s best wines - all available for both sampling and purchase via Shop@Show. 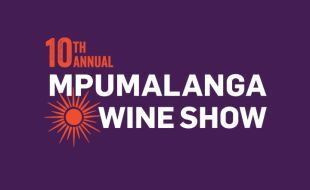 The full line-up of exhibitors and their wines can be viewed closer to the time of the show. These will represent some of the A-Z of top SA wineries, reflecting a diversity of wines spanning many different South African regions. Located only 4 hours from Johannesburg, the Mpumalanga Wine Show is also a good reason for Gautengers to ‘make a weekend of it’ and visit the sunshine province. The Regional Wine Shows (Eastern Cape, Mpumalanga, Capital City and Free State) are directed by SA wine authority Michael Fridjhon and presented by OutSorceress Marketing, organisers of the country’s premier national and regional wine festivals. For more information, call +27 11 482 5936.